Rhetorical analysis of texts exposes plausible ‘truths’ and presumptions implied by the writer’s presentation. In this volume, Leslie Gardner analyses the master psychologist Jung, who claimed to be expert at uncovering personal, psychological truths. In his theoretical writings, his rhetoric reveals philosophical ramifications which bear strong similarities to those of the rhetorician of the 18th century, Italian philosopher Giambattista Vico. This book is driven by an interest in arguing that it is possible to read Jung’s works easily enough when you have a set of precepts to go by. The paradox of scientific discovery being set out in Jung’s grotesque and arcane imagery begins to seem a startling and legitimate psychology for the 21st century. It is time Jungian studies took on this most appropriate examination of analytical psychology. Bringing Vico to bear directly on Jung’s thought has only been cursorily attempted before although much alluded to. We find indeed that some of Jung’s ideas derive directly from rhetorical theory, and this volume proposes to highlight Jung’s innovations, and bring him into forefront of contemporary psychological thought. 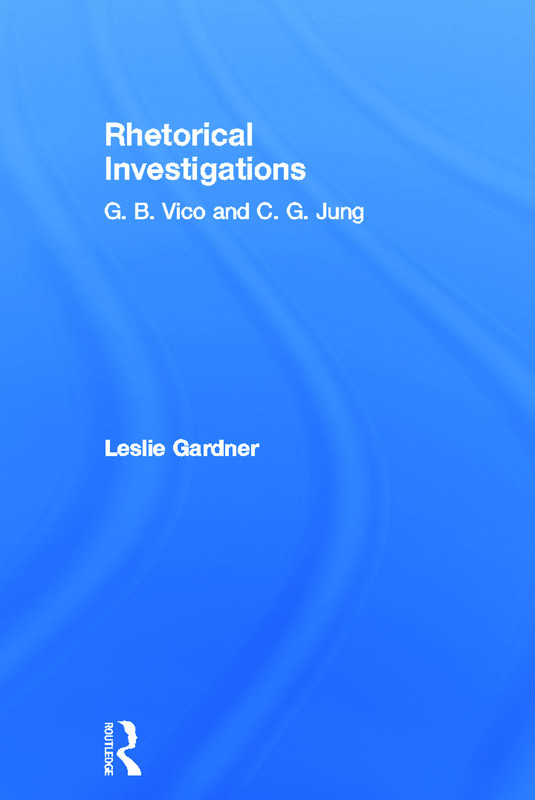 Rhetorical Investigations will be of interest to analysts and academics, and also to those studying philosophy and psychology. Introduction: Underpinnings and Propositions. Tensions Psychoanalysis/Rhetoric/Science. Jung’s Rhetorical Stance. Topical Invention and Tropes, Tools of the Imagination: Definitions and Issues. Psychological Types and Rhetorical Devices – Perspectives. Considering Fantasy, Fiction and Lacan. High Profile Representations: Metaphor and Metonymy: Jung, Vico and Ricoeur, Phenomenological Anthropology; William James. Word Association Tests, And Deliberative Logic – Forensic Jung. Pathé and Jung’s Passionate Agony Over ‘Answer To Job’. Ethos, the Rhetoric of ‘Memories, Dreams, Reflections’ and Perjuries of Self-Presentations: With Two-Part Preamble. Concluding Remarks.